It’s often said the key to a person’s happiness is through their stomach, and who doesn’t love a happy employee? DishOut’s contract food service solutions help power the corporate dining experience of some of today’s leading companies. Simplify your employee’s dining experience by providing the best ordering, pickup, and payment process available today. If your organization offers contract food service to a large corporate campus, airport, or other site, DishOut’s payment solutions allow you to accept a full array of payment options. Provide the customers you serve with the payment options they need, from in-person to off-site. Full employee badge payment, or other stored value solutions including gift cards. 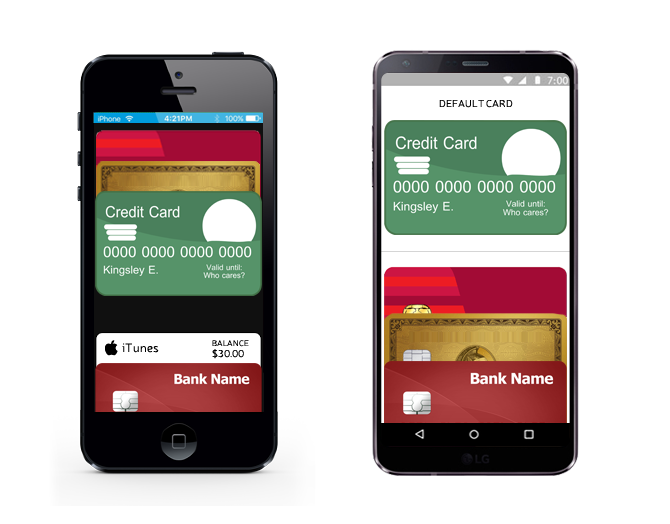 Complete Apple Pay and Android Pay capability as well as other NFC payment options. Convenient kiosks placed throughout the location allow for simple ordering and payments. 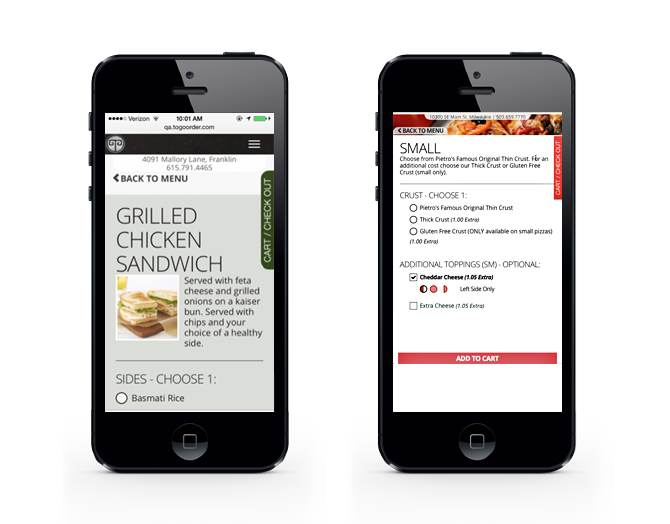 Complete mobile experience including online menus, mobile ordering, and mobile payments. A full stomach and peace of mind go hand in hand. With DishOut’s secure payment processing solution, TRXsecure, your customer’s can relax while they eat knowing their payments are secure. TRXsecure is DishOut’s open platform encryption solution designed to offer the most cost effective and secure service for protecting cardholder data from the point of capture “end-to-end” through storage and token management. Hosted solution, allowing encryption/decryption to take place during the normal routing of a transaction. Multiple technologies and peripherals supported. Whether it’s a last minute rush to complete a project, or the middle of a busy season, employees work long hours to make sure the job gets done. Make sure they’re taken care of, even when you can’t be there with after-hours food service, transportation options, and more. If you serve a large corporate campus, employees often work long hours into the night during a busy season, or to finish a special project. Even if your staff has left, you may still provide these employees with exceptional service offerings. Employees working late into the evening can still enjoy a variety of dining options through a network of local merchants or delivery services, while still enjoying the convenience of paying with the usual full array of payment options. After a long day, riding the subway or walking home can sound daunting. Provide employees with after hours transportation options from a variety of transportation options including car services, ride-sharing service credits, and more. To help reward employees for a job well done, DishOut’s solutions include the ability to provide employees with stored value, or gift, cards for use with the contract food service company or throughout the community at a variety of local merchants. DishOut’s solutions tailored for the contract food service industry are designed with open architecture to ensure they work with a variety of platforms and other existing solutions. Our online and mobile ordering solutions for contract food service organizations can be white-labeled so they feel uniquely yours. 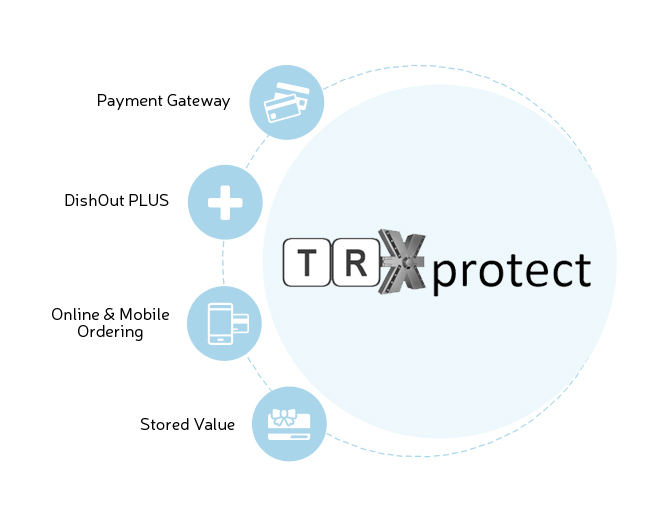 Utilizing the open architecture of TRXprotect, you can connect to our entire suite of payment solutions. Easily connect your mobile and online ordering solution to our payment gateway to securely process transactions and even set up a store value card program using employee ID badges.